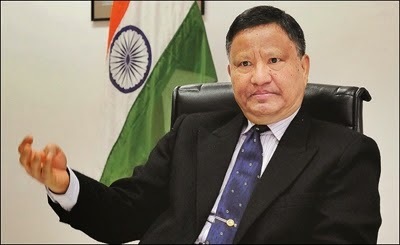 New Delhi : The chief election commissioner HS Brahma said on Friday that, About 85 million names on India’s electoral rolls were either fake or duplicate. He was announcing an initiative to make the voter list error-free by linking it to Aadhaar numbers before August 15. Aadhaar numbers will help the poll panel weed out duplicate or fakes from rolls as the election commission will use it to authenticate voter identity. About 500 million of India’s 850 million voters have Aadhaar numbers and the rest are expected to get them before June this year. “Two months would be sufficient for electoral registration officers across India to do Aadhaar seeding into the newly-created digital database of all voters,” Brahma said. Duplicates and fakes are a national issue, around 10-12% of the total number of voters, but the problem is more acute in some parts with over 40% names in the electoral rolls of a city in southern India found either fake or duplicate, the CEC said. The poll watchdog didn’t conduct similar exercises in other major cities. Those who have an Aadhaar number can visit the National Voters’ Service Portal to feed in their unique number. In addition, booth-level polling officers will visit homes in the next few months to seek one’s Aadhaar number. The EC will also be providing an SMS service to provide Aadhaar numbers. After authenticating the number, EC officials will seed them in one’s voter identity card. Furnishing an Aadhaar number is not mandatory to vote but Brahma said the EC prefers it as that helped the poll panel to enrol people in case of a change of residence. “We will know your identity and verification of your residence would be enough to enrol,” he added. The CEC also said the poll watchdog will prepare new voter identity cards and deliver corrected demographic details on electoral rolls within a fortnight, instead of the usual several months.